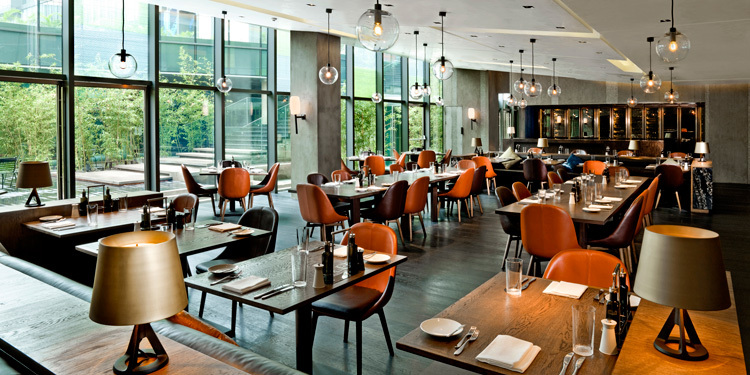 Hotels can provide you with the utmost luxurious experience when it comes to food & beverage. Sometimes hotels main revenue is the restaurants and bars. That is why it is a crucial importance for hotels to stay innovative, strong on the market and create ideal events for keeping the marketing and strong positioning of the hotel in this highly competitive business. We at Western Taste have listed the top 10 hotel restaurants in the world that we have tried. In the hotel de Paris in Monaco lays one of the best French restaurants in the world with all amazing food qualities you can imagine when it comes to the western world of cuisine. However there is a price to pay, a high price with a total average price of 200 Euro a head. The restaurant is owned and managed by the world famous restaurateur Alain Ducasse which many claims to be an artist in the kitchen. Service here is known to be the best in the world with no exceptions that the customer is always right. A have to visit at least once in a life time. 2 Michelin stars restaurant and one of the few Asian restaurants in the world that has received Michelin star ratings. Tang Court reflects the classic timelessness of the Tang Dynasty, Chinas golden age. You may dine assured that only the finest freshest ingredients make it past the watchful eyes of our ever alert chefs and into our very creative kitchens. Many international critics have claimed this restaurant to be among the top 10 hotel restaurants in the world and indeed it is. 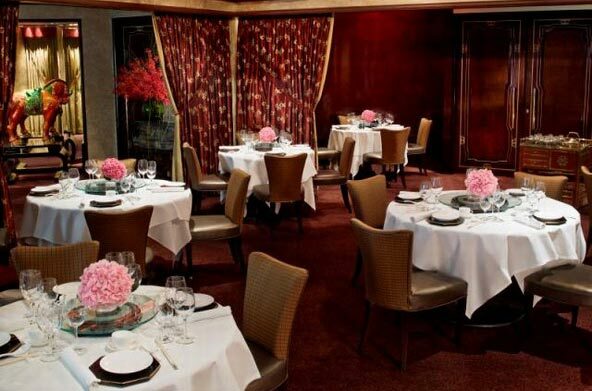 With 2 Michelin stars gives the restaurant an edge but also top standards. Amber is one of only seven Michelin two-starred restaurants in Hong Kong and it brings truly a culinary experience to its test. Perfect harmony balance when it comes to the combinations of flavours in the dishes. Chef Richard Ekkebus signature dish “Dungeness Crab in 5 Textures and 4 Temperatures”, “Langoustine with Iberian Pork Belly” and “Tasmanian Salmon with Kyuri Cucumber” are just some of the outstanding dishes that have contributed to this latest honour. 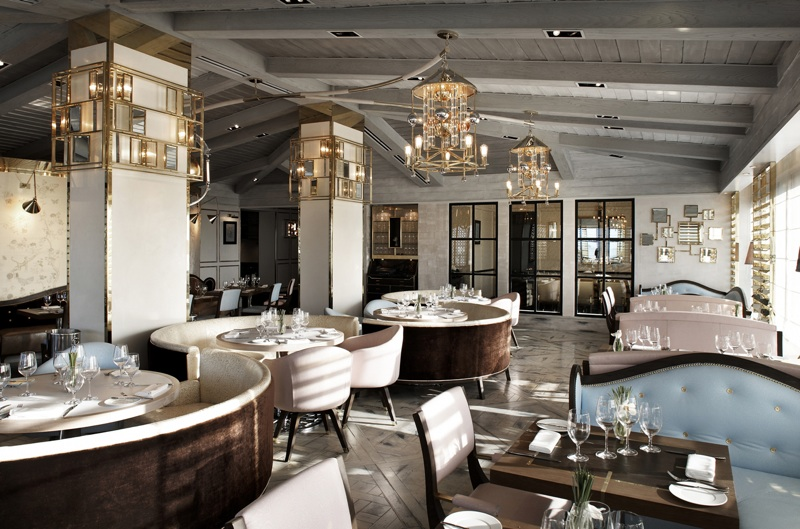 Gordon Ramsay’s first restaurant in Los Angeles in this award winning hotel brings dining to another level. Gordon has always been famous for its cursing and short temper however his food standards and quality perfection is among the highest in the world. We believe that the little things that make a place stand out and this restaurant absolutely provides it with the outmost individual service. The celebrity chef Mathias Dahlgren has been awarded 2 stars for its prestigious abilities in Matsalen at Grand Hotel in Stockholm. He has also been awarded 1 Michelin star in the other restaurant in the hotel Matbaren, but that is another story. 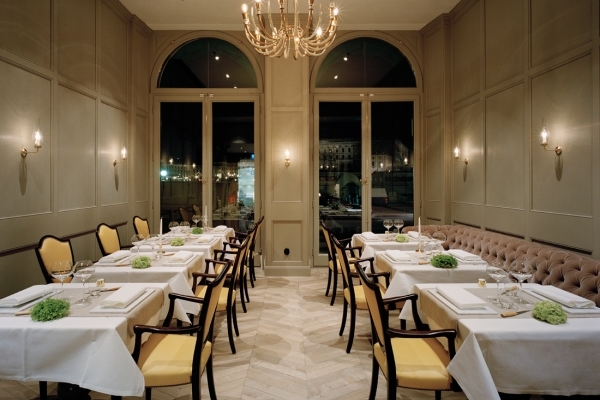 Matsalen used to be a traditional French restaurant before Mathias time at Grand Hotel. Even tough Mathias has respected the foundation and tradition at the restaurant he brings something more to the table stronger innovative –ideas, -cooking and modernizing with amazing improvement of the place. 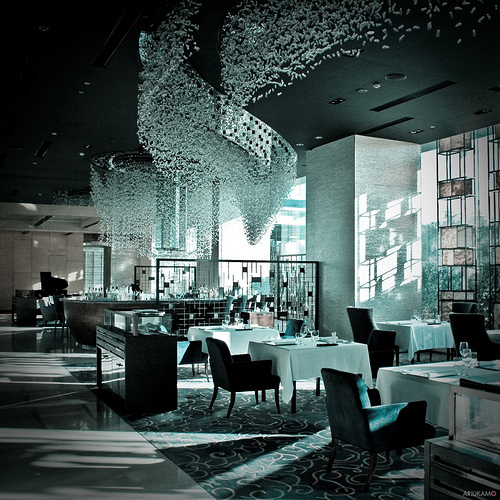 When it comes to strong innovative dining it is Blue Lobster at Shangri-La Beijing that has it. It is probably one of the most innovative cooking styles I have seen in China however since the Asian celebrity chef Brian McKenna from Ireland left for Park Hyatt in Beijing, most of the gastronomic experience changed as well. It is still top quality but not as exciting as it was before. That is why it is only number 6 on the scale. Very nice Italian restaurant that provides absolute luxury and perfect service for the guests. The food provides is at the highest standard and you can enjoy the most of its ambiance. Try the risotto that is ladled into a Parmesan wheel, dusted with luxurious shavings of black truffles, giving it a flavour that’s intense, salty and earthy at the same time. The price is good to, around 400 RMB per head. Ask for the sommelier when it comes to wine selection. 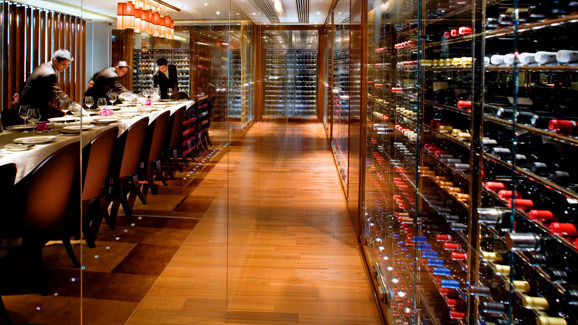 You can easily get lost in their enormous wine list. This underwater themed restaurant begins with a mock submarine ride from the reception to the dining area. Also adding, though not as enjoyable, is the cold air temperature. As the name (which translates to oyster) suggests, the dishes here are mainly seafood, though there is fusion with other meats and Asian flavours. The surroundings make you feel as if your food was plucked freshly out of the ocean. With a dinning experience as exciting as this, it is no wonder that this place was named one of the 50 best restaurants in the world. Must be the most fabulous design hotel I have ever seen. The famous Australian wine critique Jeremy Oliver has been here, Mr Gaja himself and many other experts within food & beverage has done amazing events with food and wine in this hotel restaurant. 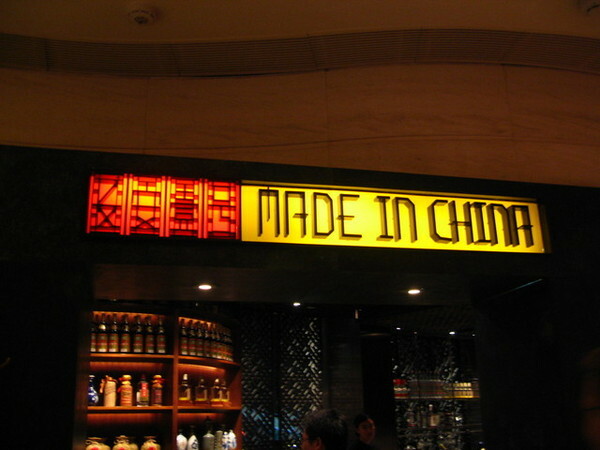 Please try their seafood soup for starter and enjoy either the best pizza in Beijing or go for Numerous of five star hotels have opened restaurants in the last year in Beijing however there is only one that stands out more than the others; a must visit is the Opposite House. 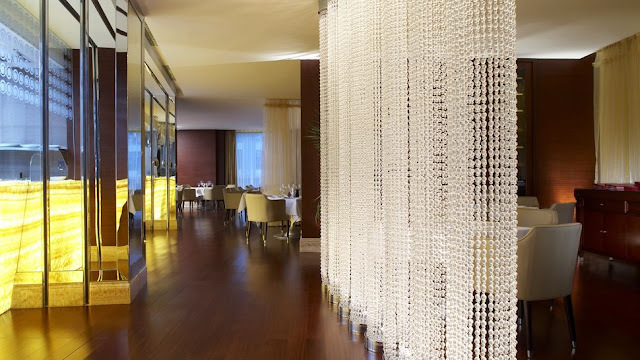 When it comes to Beijing Duck people usually talk about Dadong Kaoya, however not many knows that the amazing luxury hotel, Grand Hyatt in Beijing serves probably the best Beijing Duck there is in China. The reason is that the duck is prepared upon request. If you want the duck you need to request it in before hand and it will be made only for you which mean that the quality of the food can be provided individually.